We will begin our journey down the “Highway of the Sun”, passing through the famous Roman countryside, Castelli Romani. 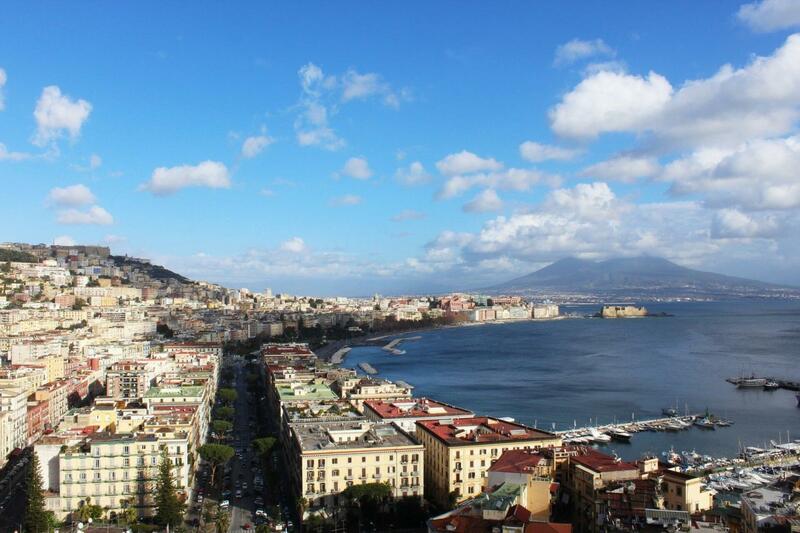 Our first stop is Naples (panoramic tour), a world-renowned city home to incredible views of the Mediterranean, Mount Vesuvius, and countless historic sites. After stopping for a traditional Italian lunch, we will make our way to the UNESCO archaeological site of Pompeii. We will spend the afternoon exploring this once thriving city that was frozen in time by layers of volcanic ash. After our tour of Pompeii, we will head down the “Costa Sorrentina” making our way to Sorrento where we will check into our hotel and have time to get ready for dinner. Please bring formal dress clothes as a wonderful formal dinner will follow at a venue with a dress code. After dinner, spend the rest of the evening at leisure, enjoying the city or relaxing in your hotel room. Wonderful tour, all the sights were great. On Capri the weather was calm and we were able to see the Blue Grotto. Overall, most of the people involved with this tour trip were awesome! I would rate this a 4. Once our booking was completed, we did not get a confirmation as to which hotel we were staying at. We did not even get an email 24 hours prior to let us know what time our pick up was at the hotel. I had to call on 2 occasions, no one could help.I finally got the concierge at our hotel to call the evening before and she was able to finally get a pick up time. The email never came to even let us know which hotel we were staying at.We only found out the day of, by the guide who picked us up in Pompei, but even then we only had a name. It would have been nice to know ahead of time so we could research it.At the price we were paying, I was hoping that we were not being taken for a ride. As it turned out everything worked out fine. Thank you for taking the time to express your thoughts and observations on the information provided prior to your tour. We certainly do wish for all our tour experiences to be seamless and stress free, and apologize that this information was not made explicitly clear during your booking process. We will touch base with our local team in Italy and discuss ways in which to better streamline this service for future customers. Again, we do apologize for the inconveniences on your day, and thank you for bringing them to our attention.